Jess Thom has Tourettes, a condition that makes her say ‘biscuit’ 16,000 times a day. Her unusual neurology gives her a unique perspective on life; one she’s about to unleash on the world. 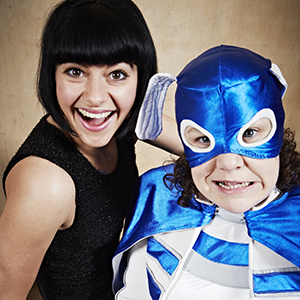 This two-woman show weaves comedy, puppetry, singing, and incredible tics to explore spontaneity, creativity, disability, and things you never knew would make you laugh. Geranium bashing may or may not feature – no two shows can ever be the same. Jess is neurologically incapable of staying on script, and that’s when the fun begins. Supported by Unlimited, Graeae & BAC. This tour is presented by house. Produced by Jolie Booth and Matthew Pountney.